Been a slow summer, wasn't getting our a lot early, wasn't getting bit a lot either (except for the mosquitoes). Got some baits soaking a little more the last few weeks though. 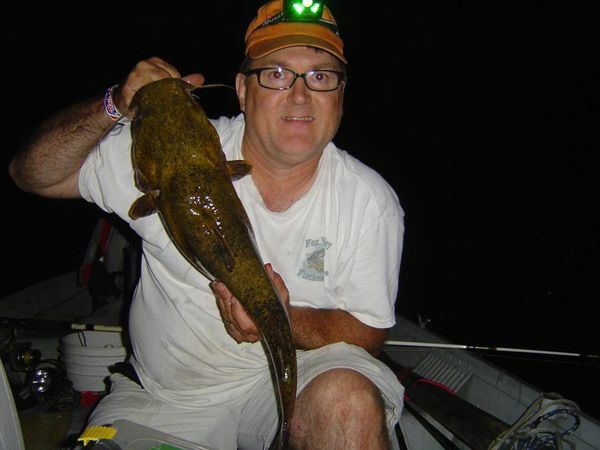 Back in July (25th), hit the Mississippi for an all-day catfish trip. Got some great pics, fished some really good cover/structure…maybe a couple bumps and one nice northern pike that broke off boat side maybe 26-27”. One thing about the Mississippi, with the stronger current the boat position seems to make a big different in keeping baits anchored. Guess the next weekend was the blue moon, hit the Fox for a few hours that Saturday, August 1. Picked up one nice smaller flathead, had a few good pick-ups at another spot with one fish lost in the wood. Guess the multi-fish night was not to be, but was good to get back on the horse and get a fish in the boat! Also hit Mallard Lake this month for a cub scout outing, we were catching some small bluegills so I hooked one up on a float rig and managed a nice 25” channel catfish out near the weedline (if there is such a place at Mallard). Was a very fun day, the scouts were quite amused by my hookset technique with my rods tangled up and just about everyone was catching fish. Also got a little northern pike too. Good Times!!! Seems like you did yourself good. Nice fish, nice pics. Good for you, Congrats. 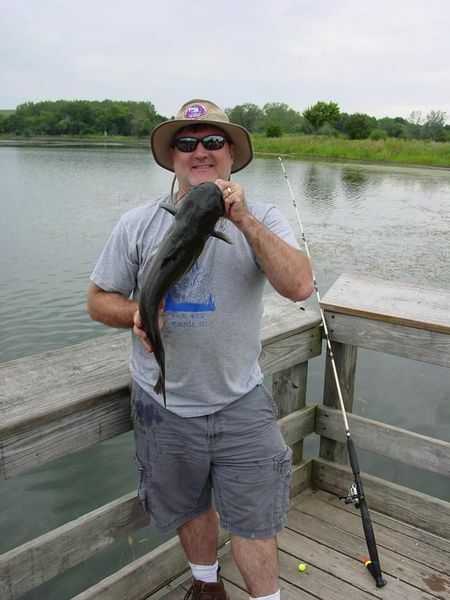 Chitown-Angler was started on February 10, 2003 and has received 207432913 page views in total since that date.